The end of a “clumsy regulatory solution” doesn’t mean coal is coming back. On Monday, EPA Administrator Scott Pruitt declared the war on coal is over. On Tuesday, he signed a proposal to repeal the Obama-era Clean Power Plan, a rule to cut carbon emissions from power generation by 32 percent below 2005 levels. The action was widely regarded as a win for the conservative attorneys general, electric companies and trade associations that have sued over the original rule. But in terms of what the proposed repeal means for the power industry and where the country's electricity comes from, the announcement may be more symbolic than significant. In the months and years to come, enemies and proponents of the Clean Power Plan (CPP) will continue to debate the merits of using executive authority to issue large-scale rules -- a central tension in the fight over the rule. The Trump administration, like the administration before it, will be left to justify the legality of its policy. But for the power industry, market trends over the last several years have lowered the stakes of the rule’s fate. In the years since the CPP was put in place, coal has become an increasingly uneconomic power source compared to alternatives. While the CPP remained mired in legal fights and went unenforced, natural gas overtook coal as the country’s largest electricity source and renewables became increasingly affordable. “While the political symbolism of the Clean Power Plan, and Republicans versus Democrats, and coal versus the world, has remained the same, the underlying context and the market in which the Clean Power Plan would be playing out -- were it to ever come into effect -- has, frankly, progressed,” said Brendan Collins, an environmental lawyer who’s represented energy companies like Calpine. Many of the CPP’s original foes still see it as bad policy and an overreach from President Obama, but it no longer represents the existential threat to an industry accustomed to tradition that it once did. Bob Inglis, executive director at Republic.en, an organization that works for free enterprise climate action, called the plan a “clumsy regulatory solution.” But he says there are bigger threats now facing the energy industry -- such as Rick Perry’s request to the Federal Energy Regulatory Commission to buoy nuclear and coal. 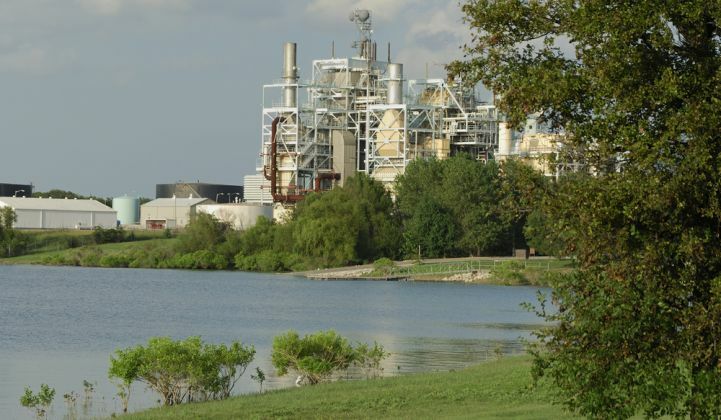 NRG Energy said in a statement that strategic decisions, driven by customer demands and technological solutions, will continue to drive the U.S. energy mix toward more flexible, cost-effective generation, including natural gas plants and energy storage. "NRG has and continues to support the overall objectives of the Clean Power Plan -- to decarbonize the U.S. power system -- but we have consistently noted that the methodology and the timeline could bear improving," the company said. "We continue to reaffirm our commitment to our sustainability goals and our science-based emissions reduction targets. We did not set these targets because of the Clean Power Plan." Though the U.S. is still far from meeting the goals it set as part of the Paris climate agreement, many states are on track to meet CPP targets. Even while joining up on a huge lawsuit to take down Obama’s keystone environmental rule, several states and utilities continued implementing policies and buying into resources that reduced emissions. Travis Kavulla, vice-chairman of the Montana Public Service Commission and a self-described free-market Republican, said the CPP's biggest impact would have been to shift power away from utility commissioners, who traditionally evaluate energy resources with a focus on "least cost," over to governors, who are often interested in "shiny new things" and "cutting ribbons," he tweeted on Tuesday. Putting the electric sector under the command of governors would have resulted in "fewer checks and balances," Kavulla said. He acknowledged the CPP would generally have been more favorable to renewables, "although not necessarily least-cost renewables." An Oct. 9 analysis from the Rhodium Group found that in a scenario with high natural gas and renewable prices, 21 states would have still had work to do to comply with the plan. In a scenario with cheap prices, 12 would have to work more to achieve goals. Now that the plan is facing another challenge, those 12 are more likely to miss emissions targets. Georgia is among the 27 states that challenged the administration’s rule in court and among the 21 states the Rhodium Group found would have more work to do given expensive natural gas and renewables (in a cheap gas and renewables scenario the state would meet the rule’s goals). Though Georgia Public Utilities Commissioner Tim Echols said he’s “thrilled” by the repeal, he added that energy planning in the state is still moving towards a widened energy mix. For utilities and power companies that opposed the CPP, the legal battles that embroiled the rule may have been most helpful in allowing market forces to lessen the perceived strain of meeting the Obama administration’s targets. If the plan ever came into force, states would still have had until the final deadline in 2030 to reduce emissions. That confidence in a less carbon-intensive energy mix is reflected in the renewables industry as well. Others, though, seem extremely disturbed by the the administration's decision. Environmental organizations such as Earthjustice, the Sierra Club, the Natural Resources Defense Council, and more have decried the possible repeal as a danger to human health and global progress on climate change. "The Clean Power Plan was carefully designed to limit emissions while giving states flexibility in how they implement it," said Sam Adams, director of the World Resources Institute in the United States. "The [CPP] offers far-reaching benefits that would protect public well-being and drive innovation and economic growth." While Pruitt moved forward with the CPP repeal this week, EPA is still required by law to regulate carbon dioxide as a pollutant. The proposed rulemaking did not indicate whether the EPA would introduce a new rule, but sources say the Trump administration is expected to change how the federal government calculates the costs and benefits of addressing climate change and air pollution, Politico reports. Attorneys general in New York and Massachusetts have already officially declared they would sue the administration. California Attorney General Xavier Becerra said he would do everything in his power to defend the rule, meaning a legal challenge is probable from that state as well. More are likely to follow.